You may not be as skillful as Barcelona’s Lionel Messi or Real Madrid’s Cristiano Ronaldo however, as physical therapy experts we recommend that you play soccer if you’re looking for a good workout in Brampton. Our, HealthMax Physiotherapy Brampton Clinic offers great athletic therapy and conditioning programs that could help your performance both on and off the soccer field. With the weather getting warmer, we suggest that you stretch those hamstrings and find the nearest soccer field. Did you know that just 30 minutes of playing soccer drastically improves cardiovascular health, builds muscle, increases bone strength and improves flexibility. Here is a list of the top 5 soccer fields in Brampton that will put you on the path to a healthy, active lifestyle. Forget the small fields, if you live in Brampton, the Brampton Soccer Centre is the place to be. This $27 million dollar facility opened in 2007 and is home to over 64,000 soccer players. The Brampton Soccer Centre has both indoor and outdoor fields with many drop-in programs which will fit just about any schedule. Did we mention that the facility also has the “Let’s Play Cafe” food and refreshment area with plenty options to rehydrate and get a quick bite. Your health is important and the Brampton Soccer centre is the perfect place to get your fitness on track. Looking for a quick pickup soccer game? The Century Gardens recreation centre has multiple soccer fields which will allow you to practice your shot like Manchester United’s Wayne Rooney. This facility also has an aerobic studio, cardio equipment, free weight equipment, and many personal trainers. Visit Century Gardens to strengthen your back, work on your core and improve your overall physical health in one of the GTA’s most popular recreation centres. The Creditview Sports Fields in Brampton has been previously used by OFSAA to host high school soccer and lacrosse championships. This is the perfect home for high-level athletes looking to work on their endurance and conditioning. Are you training to be a top midfielder like Toronto FC’s captain Michael Bradley? Then the Creditview Sports Fields is the place for you. 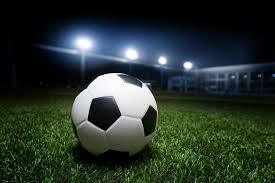 Looking for a semi-professional venue to showcase your soccer skills? The Victoria Park Arena and Stadium is home to Canadian Soccer League’s Brampton United. While there are not any drop in games available, this beautiful grass field is used by the City of Brampton for many spring and summer recreation programs. Train like a professional on this spectacular field that is always maintained at a professional level. The Jim Archdekin Recreation Centre makes our list for top soccer fields in Brampton because not only do they have multiple soccer fields, but they also have baseball diamonds, tennis courts, squash courts, and a skate park. That’s right, not only could you practice your goalkeeping skills at the Jim Archdekin Recreation Centre but you could practice your tennis serve like Roger Federer. This recreation centre is a must-visit for recreational athletes who like to explore multiple sports. Looking to improve your athletic performance? Be sure to check out the HealthMax Physiotherapy Brampton Clinic for comprehensive athletic therapy and conditioning services. This facility also has many other services including acupuncture, physiotherapy, and a complete concussion management system for those who may be suffering from concussion symptoms. For more information, please contact us at (905) 451-3332.